Happy Thursday Everyone! Today I want to shine the Spotlight on a question that I get asked a lot. How do you breed what people call “clean” horses? Well it’s not as simple as it might sound! First let me explain what I have heard referred to as “clean”. That would be a horse that has no traits other than a long mane and long tail and I believe double gleams are acceptable. It would contain no lusters, glooms, colors, opals, wings, hooves, socks, horns or saddles. Just a basic horse of any coat with long mane, long tail and the gleams if you like! This is the basis for all my projects. 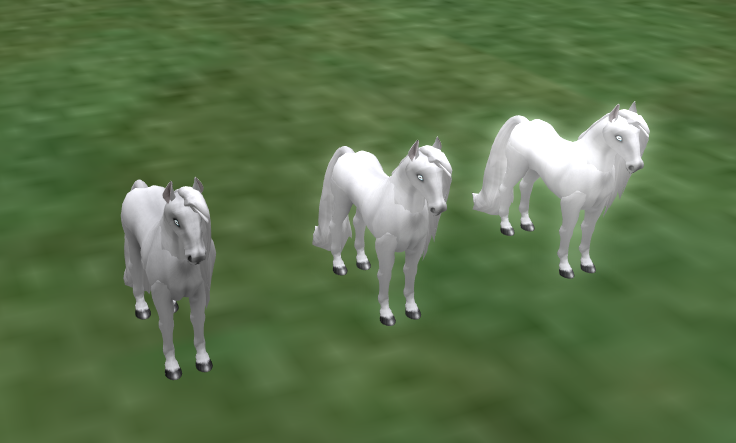 I start each project by getting a group of “clean” horses and use them to build on. I think most of you have discovered it seems to be much easier to add traits than it is to remove them. So when I set up groups to try for Albinos, Galaxy, Elemental, Zodiac or even the fabulous Twist horses I always use “clean” horses so that I know if I am lucky enough to get one of the “specials” I am breeding for it will have a better chance at only containing minimal traits therefore showing off the beautiful coats that we all try so hard to get! It is worth the time and effort to set up special breeding sections on your ranch that constantly supply you with “clean” horses so that you have a never ending supply to use when you are trying for special things! Below I have attached pictures showing how amazingly pretty a “clean” White Walker looks with and without the gleams. 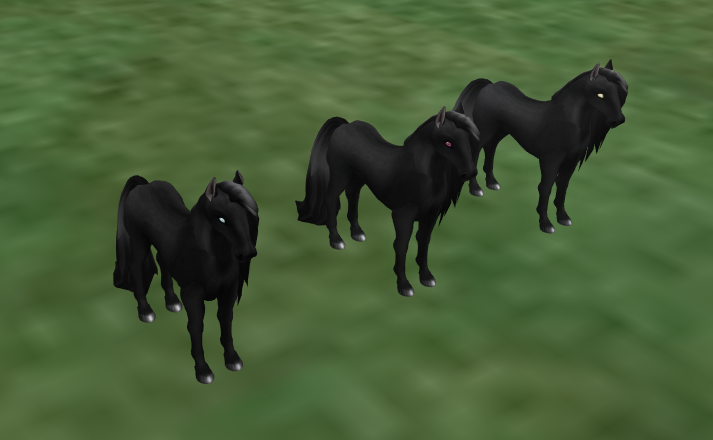 As you can see the gleam does make the horses look very pretty! I have also included a picture of a “clean” Black Walker and a Black Walker with gleams so you can see the difference there as well. So all you have to do now is chose which one you like the best and then use that as your basis for building each of your projects on! Once you have your basis for your projects then you can begin to add the traits you want to create whatever horse your imagination can dream up!